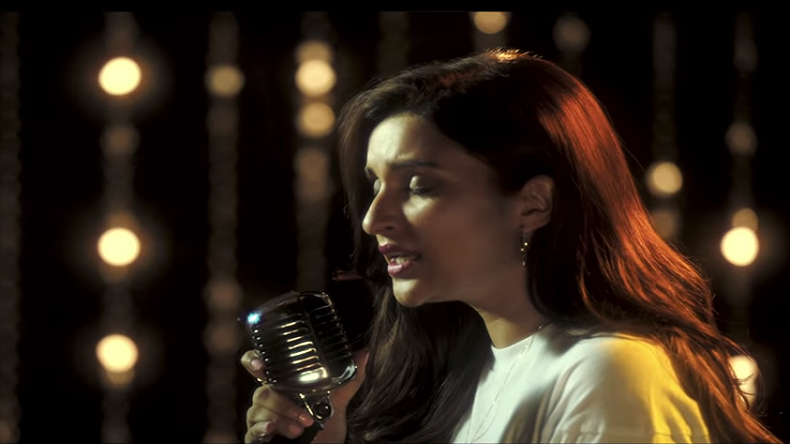 Kesari song Teri Mitti: Bollywood actor Parineeti Chopra recently found an interesting and special way to celebrate the success of recently released film Kesari. The actor decided to give a soothing twist to Kesari's song Teri Mitti. Originally, the song is sung by B Praak and the lyrics are written by Manoj Muntashir. Bollywood actor Parineeti Chopra is counted amongst the most talented actors of the industry who leaves no chance of creating a buzz with her talent in the films. The allrounder commenced her acting career in Maneesh Sharma’s film Ladies vs Ricky Bahl with Ranveer Singh and Anushka Sharma. After enjoying the grand success of her recent film Kesari, the actor decided to celebrate the big achievement in a unique way. She decided to give a soothing twist to Kesari track Teri Mitti after three weeks of the film’s release. The original romantic number is sung by B Praak and the music is composed by Arko. The beautiful lyrics of the song is written by Manoj Muntashir. Sharing the song, the hardworking actor revealed her love for singing. She revealed that nothing in this world makes her happy rather than singing. When she is not singing she is humming in her head. She further thanked everyone for giving her this opportunity. Earlier to this, the actor also sang the song Maana Ke Hum Yaar Nahin from the film Meri Pyaari Bindu in 2017. Talking about her last release film, Kesari garnered a positive response from the critics as well as fans. The film featured Akshay Kumar and Parineeti Chopra in lead roles and also emerged as the top grosser films of the year. Not only this, but the film also crossed the record of Rs 150 crore at the box office. Film critic Taran Adarsh shared the recent collection of the film. The film has till earned Rs 150.91 crore. Talking about the story, the film is based on the Battle of Saragarhi that was fought between 21 Sikh soldiers and ten thousand Afghans in 1897. The film is directed by Anurag Singh and is co-produced by Zee Studios, Cape of Good Films, Dharma Productions and Azure Entertainment. Parineeti Chopra will next appear in Dibakar Banerjee’s next film Sandeep Aur Pinky Faraar with Arjun Kapoor. She will also appear with Sidharth Malhotra in the film Jabariya Jodi.